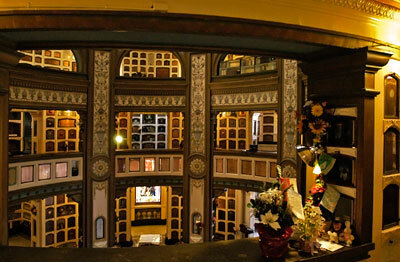 Columbaria, first built by the classical Romans, are buildings which contain cremated remains. The word is derived from the Latin columba which means dovecote. 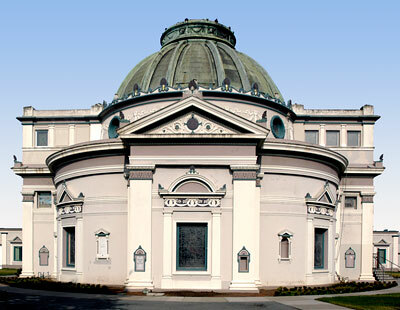 The San Francisco Columbarium, containing over five thousand niches, was designed by British architect Bernard J. Cahill and opened in 1898 in what was then the 167-acre Odd Fellows Cemetery. In 1910, San Francisco passed a law prohibiting cremations, and the crematory was demolished. Later all bodies in the cemetery were relocated outside the city. The Columbarium survived but from 1934 to 1979 it was abandoned to racoons and birds, mushrooms and fungus. The Neptune Society acquired the building in 1979 and over the years has performed a dazzling restoration.